Supporting families and childcare workers, we are the only UK not-for-profit trade association for nanny agencies who demonstrate the highest standards of care and professional excellence within the nanny industry. Looking for a reputable nanny agency you can depend on? Find out which accredited nanny agencies are in your area to offer advice and support with finding a nanny. Do you want to be recognised as being amongst the best nanny agencies in your area? Find out how being a member of ANA can benefit you. Ready for your next nanny adventure? Discover what care and support is provided as standard with an accredited agency near you. The Association of Nanny Agencies is holding its Annual General Meeting on 5th July 2019 at The Driver, Wharfedale Road, Kings Cross, London. 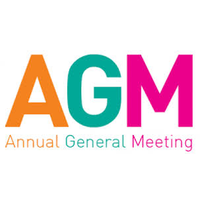 We welcome all members to join us at our AGM where committee members will be elected, and we will have guest speakers from industry leaders such as Morton Michel, NannyTax, and other service providers in attendance. The Association of Nanny Agencies (ANA) exists with the intention of “Making Standards Matter” and raising the standards of professional excellence within the UK nanny industry. The Association of Nanny Agencies is for all UK childcare agencies seeking recognition of their commitment to providing the highest levels of care and professional excellence to all of their clients, nannies and household workers. All nanny agencies who can demonstrate and maintain these standards are invited to join the association, and can be proud to display our kitemark ANA logo as a symbol of being one of the best nanny agencies, with good working ethics. The Association of Nanny Agencies is a not-for-profit trade association created to support our members by keeping childcare agencies fully informed of all childcare laws, legal requirements, rights and responsibilities as well as supporting each other and sharing best practice. 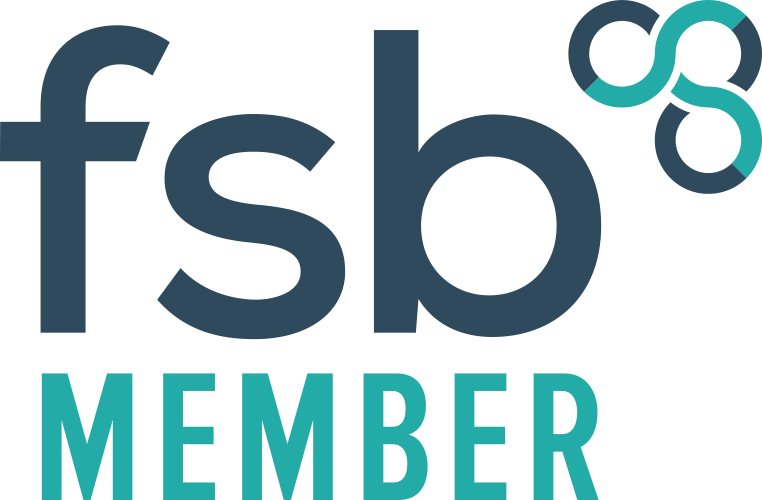 We do this with regular updates, providing a legal helpline, and signposting to relevant service providers as well as meeting twice yearly to discuss and debate relevant current affairs within the industry. We promote a professional Code of Conduct, strict membership criteria and standards of good agency practice, an excellent quality of service and duty of care, in addition to ensuring legal compliance by all members. When families and nannies see the ANA logo they can be reassured they will be receiving the best support from our agency members. You wouldn’t stop someone in the street and ask them to cut your hair… You would choose someone who has a good reputation and someone who you can approach and most of all someone you know, like and who you can trust? So why is choosing childcare any different? There are an increasing number of websites and online apps available where people can select ‘someone’ to look after their children – however what if you make a wrong decision – what if something goes wrong? These two questions are equally important for both nanny and family! What works for one family may not necessarily work for another. ANA agencies understand this and are there to ensure you make the right choices, making sure a family is aware of their responsibilities as an employer of a nanny, being aware of trends and wage rates in their area. We would love to say that there is no cost for using the services of a nanny agency, but this would be a lie. However, is there really a limit you would put to the cost of getting the right childcare in place for your family, the perfect person to be that great role model, to love and to nurture, to attend to all the daily needs, to help your child with learning and development in their own home environment – surely the cost would be priceless! Please don’t wait until something goes wrong. Do seek the support of the right nanny agency in your area – a nanny agency who cares about the standards of care each nanny provides, a nanny agency who believe in offering the best, and one who believes in raising the standards of professionalism within the nanny industry. Choosing childcare is one of the most difficult decisions a family will need to make. We want a nanny but there are so many questions, how do I know what I am doing is best for our family? The Association of Nanny Agencies is made up of the best nanny agencies in the UK, the ones who are committed to providing the best care and support to both nannies and families. With ANA agencies, all clients and nannies should feel listened to, supported and more than just a number. But why should people choose an ANA Agency? What does this mean? All members are part of a network of nanny agencies who uphold a clear Code of Conduct and Standards of Best Practice, in addition to working together to share good practice to constantly enhance the value and professionalism of nannies within the childcare industry. All members do all the hard work involved in searching for the right calibre of nannies, only submitting genuinely suitably appropriate candidates, providing families with the pick of the best. All members ensure that they perform every reasonable check possible to ensure the suitability of every candidate before considering for submission to a family. Meeting of candidates face to face wherever possible, if this is not possible a secure online conference style meeting such as Skype and FaceTime. Checking of original identity documents in person, this may be via a post office checking service, or by working with another ANA member nearby. Ensuring compliance with equal opportunities and current legislation within the childcare and recruitment industry. Children are like sponges! Children are curious creatures who are listening and learning all the time, absorbing their surroundings constantly. Things in a child’s environment are constantly changing, new technology, new ways of doing something, different abilities of children which means we, as carers need to know how we can help and support children who need that little bit of encouragement to be their best selves. Being a nanny is a great position of responsibility, being chosen by parents as the role model for their children being in your care. Every family is different, every child is unique and every nanny is different – however parents, nannies and carers have one thing in common – WHAT IS BEST FOR THE CHILDREN! Given the way things around change so quickly, a nanny who trained 20 years ago will have gained skills which are different to those who do training now. Even first aid guidelines change on a regular basis. Given the position of responsibility within the role of a nanny, it is vitally important that a nanny keeps their skills and knowledge refreshed and current, this doesn’t mean go back to college or formal studies – this means ensuring that the skills you have learned in addition to the experience you have gained as a nanny is still relevant to fit today’s children. A good nanny agency should be encouraging awareness of CPD or Continuous Learning Development to enhance the skills and experiences of a nanny. This could be learning new skills such as Makaton or sign language to help with communication with a child who may not have the same level of understanding. Or perhaps researching about a condition so you can have a better understanding of this child and how you can stimulate and encourage them. A nanny is responsible for ensuring they have a valid paediatric first aid certificate – it is the responsibility of the nanny to know how to react and manage calmly, quickly and effectively in the case of an emergency or in spotting childhood illnesses. This is considered part of your CPD too. A nanny may decide to gain extra skills in looking after newborn babies, and may choose to follow the path of a maternity nurse, whilst others may choose a route to support in the classroom environment. Whatever the circumstances, a great nanny agency should be able to point you in the direction of training providers to help you with your chosen specialism. Being a nanny is not an easy job, nor is it the same as being a babysitter or au pair – so very far from being the same. Not only can your ANA accredited agency point you in the right direction, they also work very well with the BAPN – an association for professional nannies www.bapn.org.uk and together both associations believe in supporting the professionalism of nannies and raising the standards of care within the nanny industry. What does it mean to be an ANA registered Nanny and Household Staffing Agency? Part of a UK based network of like-minded agencies who work together, sharing best practice specific to the nanny industry. Supportive and encouraging of nannies to be aware of their own CPD responsibilities as a professional nanny. Able to assist and signpost to relevant resources to ensure the set-up of a nanny solution is done correctly. (e.g. Employer responsibilities, sample contracts, good practice guidelines). A nationally recognised and reputable Nanny and Household Staffing Agency. Compliant with appropriate insurance and legal responsibilities, including data protection registration. Committed to raising the standards within the nanny industry supporting ANA’s ethos of ‘Making Standards Matter’. Committed to showing transparency and accountability within their work ethics. Committed to following the Association’s Code of Best Practice and highest standards of care and professional excellence.